Then let’s go to dinner. 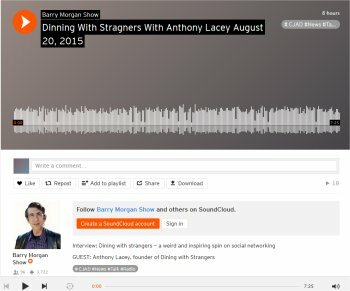 Launched in late 2008, Dining With Strangers invites people to share their stories over dinner at a restaurant, bar, cafe or hot dog stand of their choice. I’m based in Washington, DC, but open to interviewing people anywhere in the United States or overseas. Feel free to request dinner no matter where you are located, or check out my list of upcoming travels to see if I’m coming to your location soon. The point of the site is to meet people with a story to tell, a kooky career they’re happy to talk about, a product to promote, or any other reason they might want to be featured online. I’ll bring along a notepad, camera and tape recorder and we’ll take it from there. 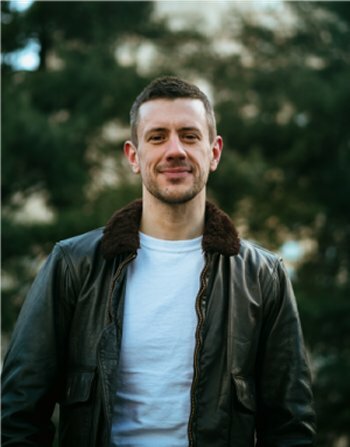 A little about me: My name is Anthony. I’m a 38-year-old journalist in DC who spends the working week reporting on federal environmental policy. This site is a side project designed to be fun and let me try a different writing style than the news articles I write for my day job. If you’re interested, click here to arrange dinner! You can also send an e-mail to mail AT diningwithstrangers.com. Further stalking is possible by visiting my Facebook, Twitter and YouTube pages. 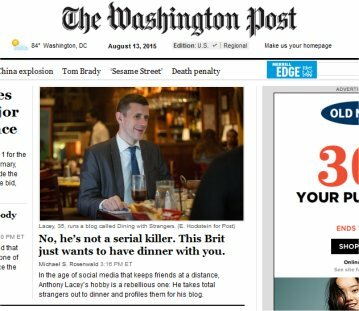 While reporter Perry Stein was working at the Washington City Paper, she found out about this site and wanted to interview me about it. 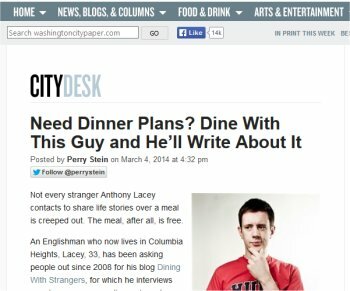 After a quick chat on the phone she wrote a nice article about Dining With Strangers — the first press coverage I ever received. Washington Post reporter Mike Rosenwald turned the tables (pun?) by taking me out to dinner at The Pig in the District and asking me about the site. He was far too kind about me in his article, which you can read here or by clicking on the picture above. 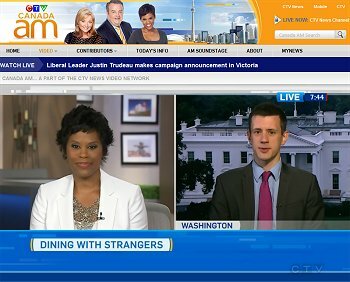 Soon after the Post article ran, I was contacted by the television show Canada AM to do a brief interview with them about the site. Similarly you can click on this link or the picture above to watch that. Somehow, despite being bleary eyed from the early morning wakeup for the show, I managed to make it through the five minutes sounding vaguely coherent and without falling out of my chair. Success! A few hours after the Canada AM show I was on the air with Barry Morgan, host of a talk show on Canadian radio station CJAD 800. The one thing I learned from that interview? I need to stop saying “errrr…” so much between sentences. 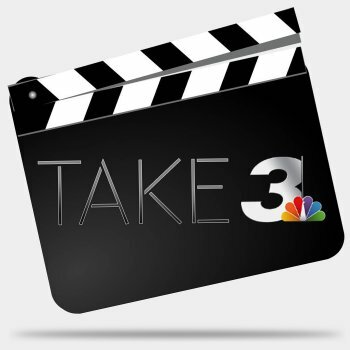 Take 3, a weekly podcast by Danielle Sills and Sara Shookman of WKYC Channel 3 in Cleveland, Ohio, featured Dining With Strangers in the October 19 update. 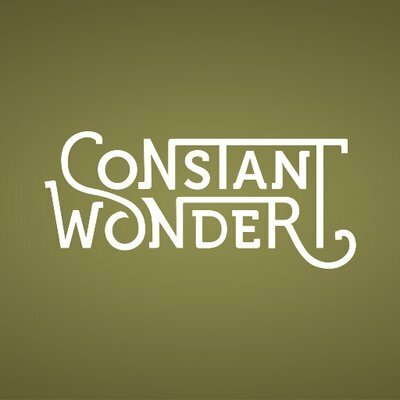 I didn’t know they were going to talk about my site for 10 minutes, but I’m very grateful that they did because they had some very nice things to say about it. 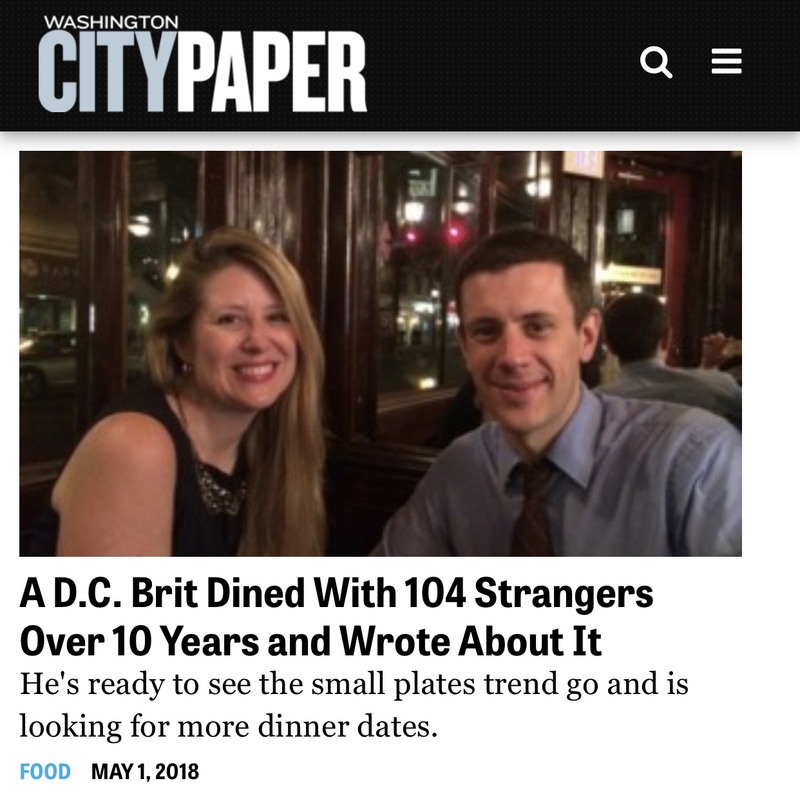 Laura Hayes, food editor of the Washington City Paper, reached out in April 2018 to do an interview about the upcoming 10th anniversary of Dining With Strangers, which launched in November 2008. During a meal at the restaurant Hazel in Washington, DC, I talked with Laura about the various strangers I’ve met over the years, including several who have become good friends.